As slimmest and lightest ever model in the Thinkpad series, Lenovo shows off its most recent creation. The initial hype surrounding the compact notebook was only further heightened by the near simultaneous introduction of the MacBook Air. 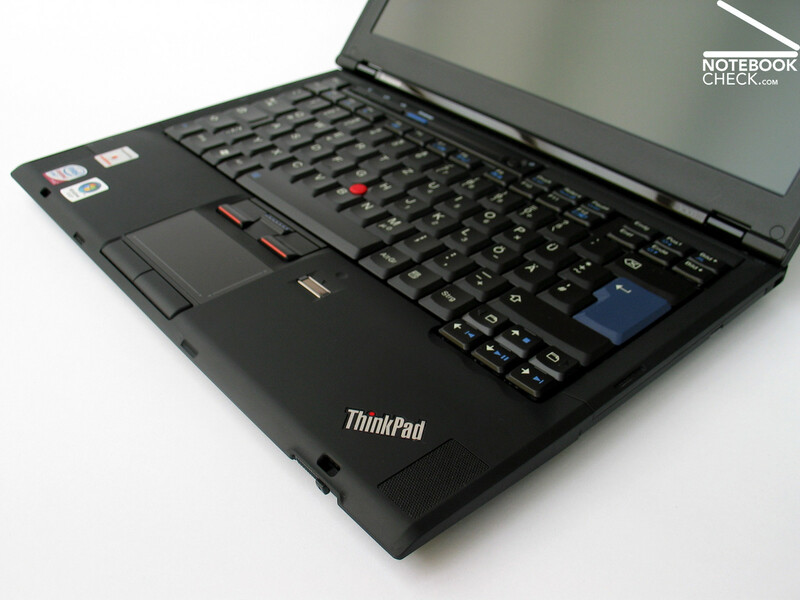 In complete contrast to the slick but air-headed Apple, Lenovo stayed down to earth with the business competence provided by the Thinkpad X300, particularly in terms of its extensive communicative capacity. 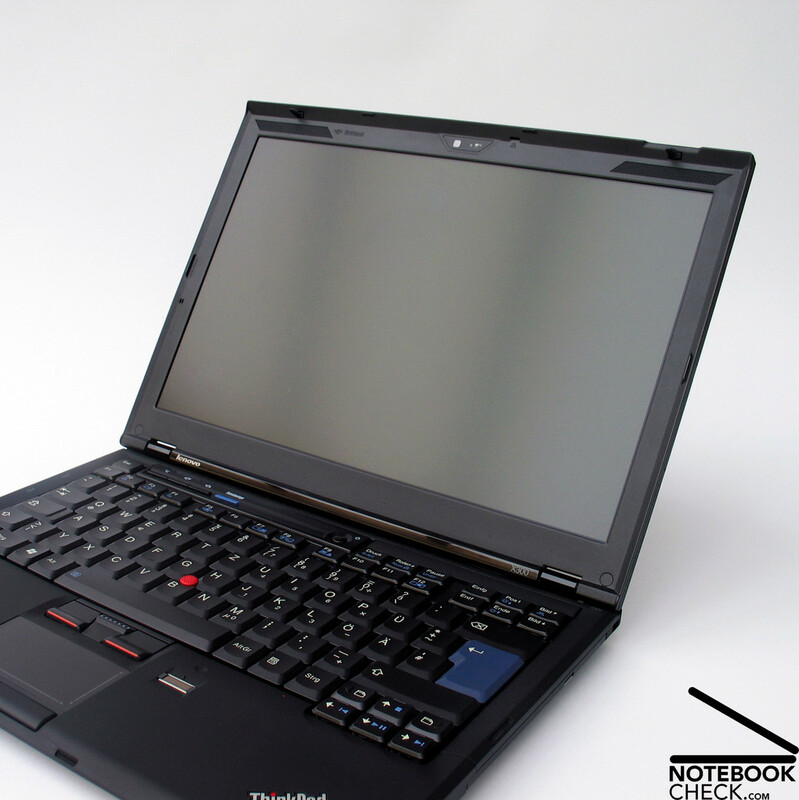 Stuffed full of gadgets, many of which originating from the "glory era" of IBM machines, paired with brand new developments and technologies, the Thinkpad X300 positions itself as the mobile office notebook of the elite. 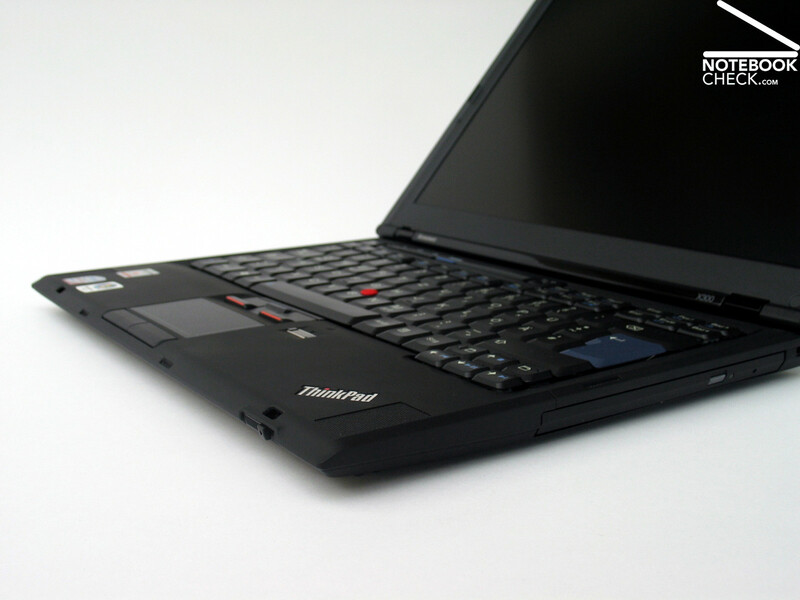 The model clearly speaks to the well to do client in the business sector who appreciates traditional Thinkpad values such as excellent input devices, extensive communication possibilities on top of robust and durable housing. All of that comes at a cost of course, with the entry price of the Thinkpad X300 lying at well over 2000 Euro. 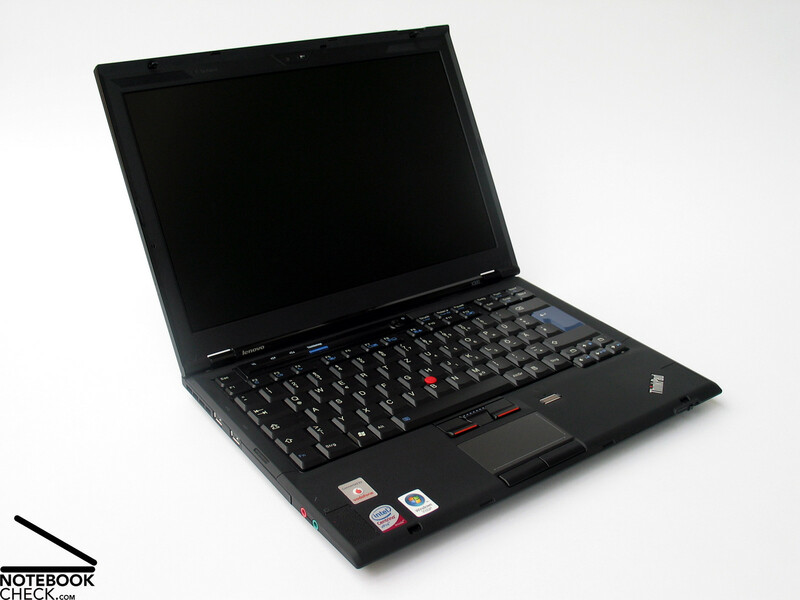 The Lenovo's X300 presents itself in classic Thinkpad black - another colour scheme wouldn't have fit the conservative image of the Thinkpad ranks anyway. 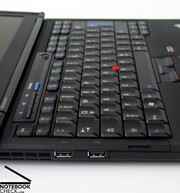 Distinguishing feature number one remains the red trackpoint in the middle of the keyboard, nodded to by the red dot on the "i" of the new Thinkpad Logo. 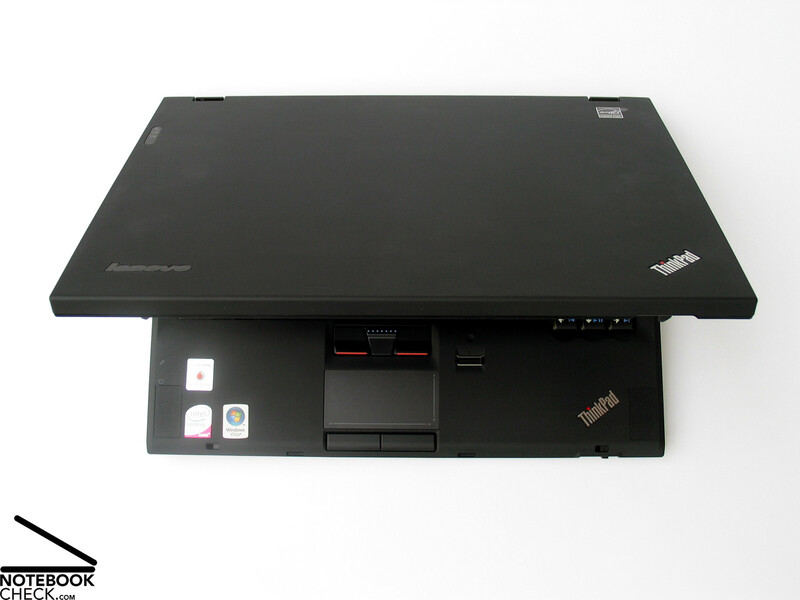 The case is constructed to look like the newest larger siblings in the Thinkpad family. The shape and modelling of the case is nevertheless primarily determined by functional aspects, such as the bevelled keyboard palmrest, and the display's clamshell design. 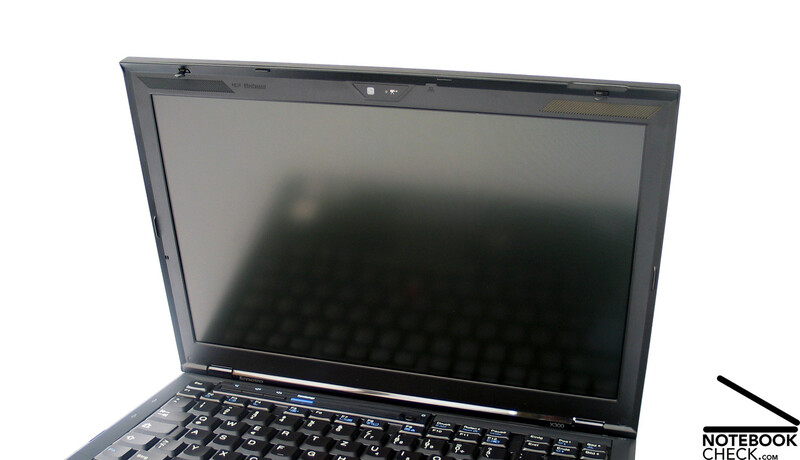 To explain for Thinkpad newcomers: in closed position, the baseunit is meshed to components of the display, following the example of a sea-shell (hence the name "clamshell") in allowing both halves of the case to grip onto one another when closing. This gives even the smallest foreign bodies hardly any chance to pry their way in between display and keyboard. 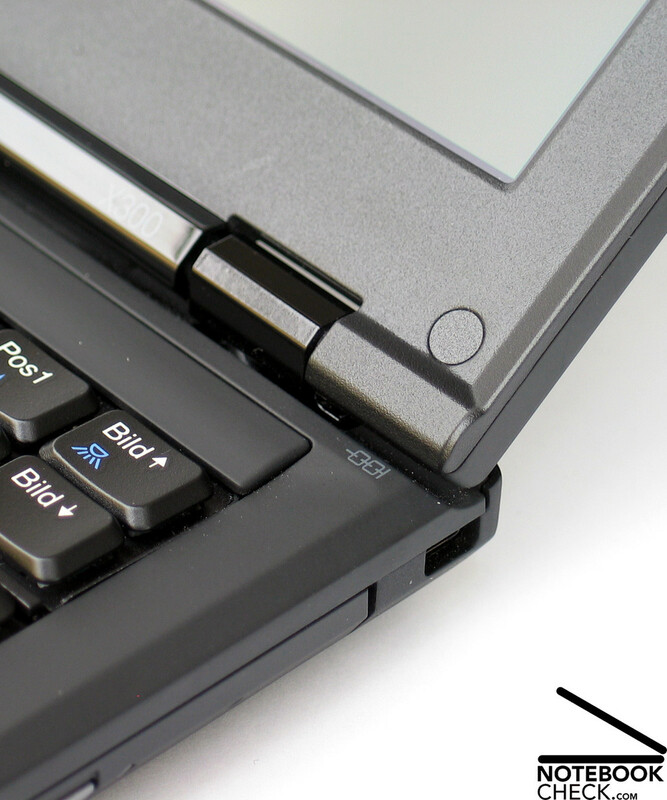 Moreover, this principle minimises forces on the hinges when the laptop is in a closed state, thereby improving their working lifespan. In addition, the somewhat thicker construction around the display edges provides further advantages in terms of sturdiness. 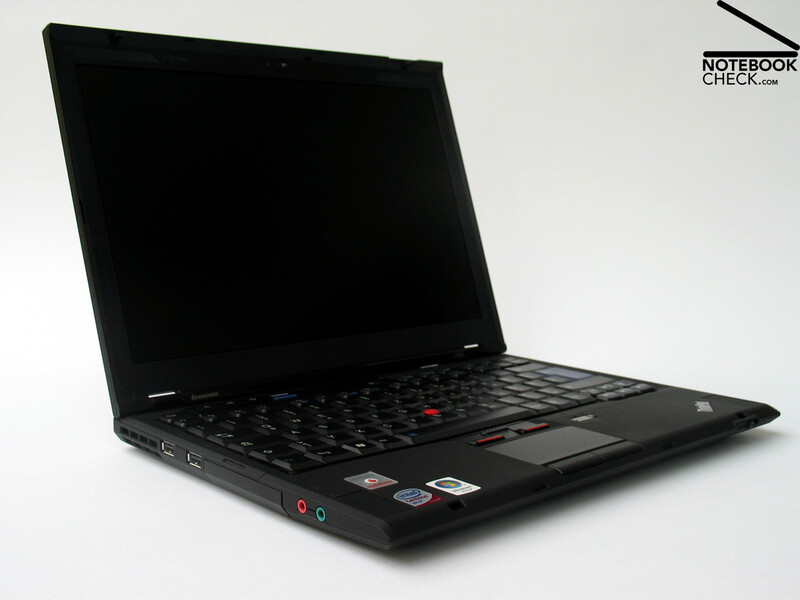 Speaking of sturdiness, notebooks in the Thinkpad ranks continue to enjoy a lot of attention around this subject, as much from their developers as from their potential customers. With the ingenious construction of the case, the surface working components also take on structural functions. 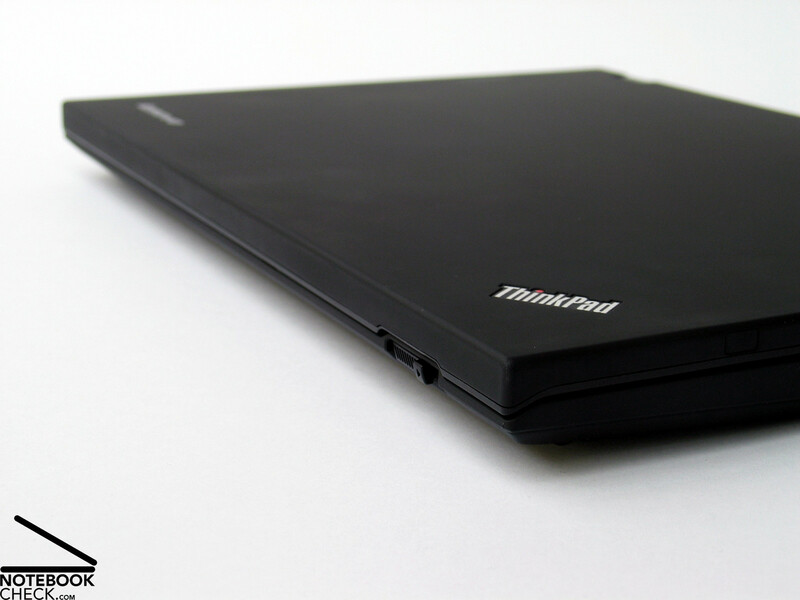 Supplemented by the use of high quality materials, such as the newest composites and light metals, the Thinkpad obtains outstanding structural stability. In the Thinkpad X300, this is visible in a truly impressive way. While the base unit scores highly with its first class strain resistance as well as an excellent torsional stiffness, the display also convinces in both disciplines. Previously, picking a notebook up by the front edge of the base had been for many devices a painful exercise, often accompanied by a loud creaking. The Thinkpad does this without an issue, even by the display: grabbing the X300 by a corner of the display and picking it up off the table causes... nothing bad to happen at all. 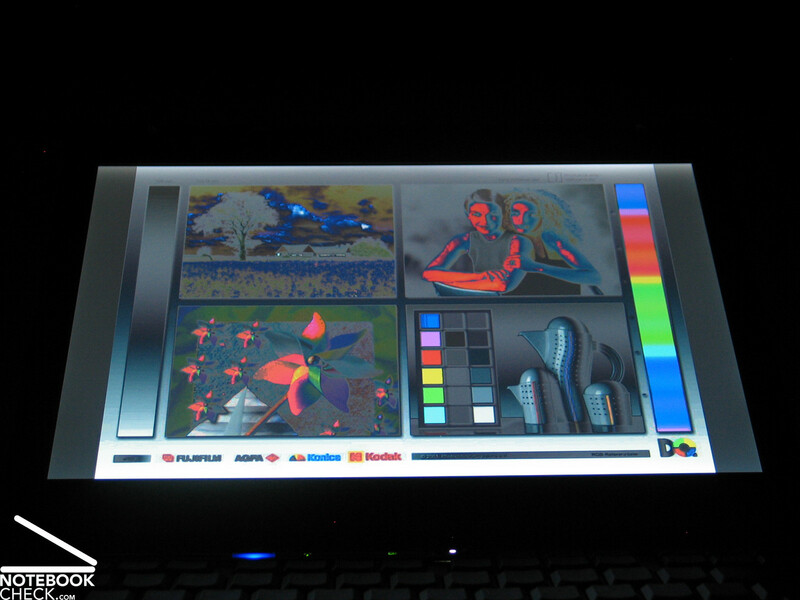 Other than a minimal deformation, no alteration in the displayed image nor even a light creak can be detected. The X300 masters this exercise, imitation of which with any other notebook being absolutely not recommended, and easily. 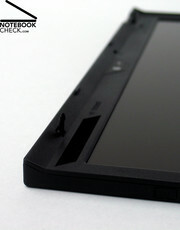 The Thinkpad X300 splurges too on its display's locking mechanism. 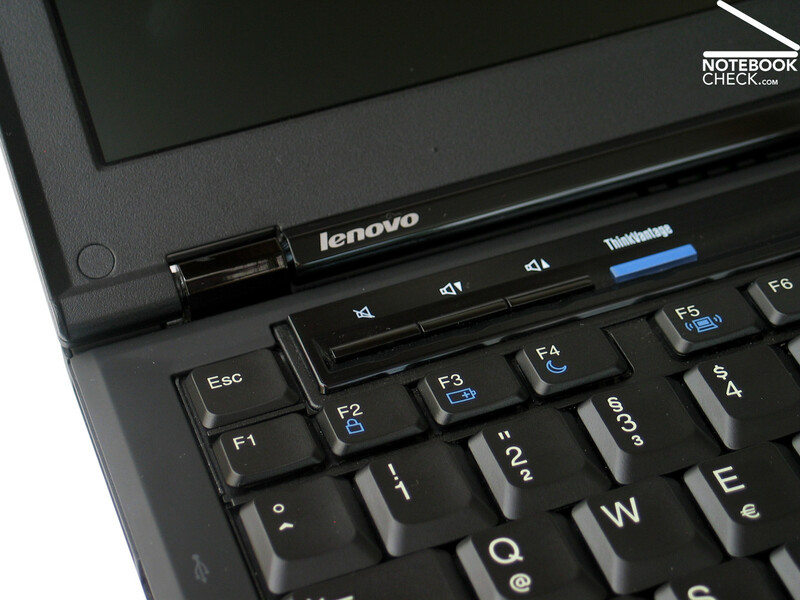 Lenovo goes against the general trend of self-locking display hinges, offering as always two classic locking hooks. Due to their decentralised positioning, they offer a secure hold, even in the corners. Unfortunately a slight wobbling of the display in its closed state is present. The hinges themselves do seem undersized, but they hold the display in tight control. Angle adjustment of the display felt a little too easy, and although the display nevertheless does not see-saw once in position, a slightly stronger resistance would have been appreciated if for nothing but tactile reasons. 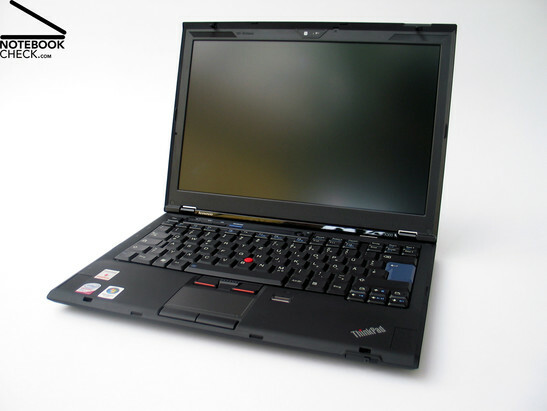 When comparing the Apple Macbook Air to Lenovo's Thinkpad X300 (insofar as this is possible, which is of course debatable), the restricted connectivity options of the Air are continually touted as advantages for the Lenovo X300. 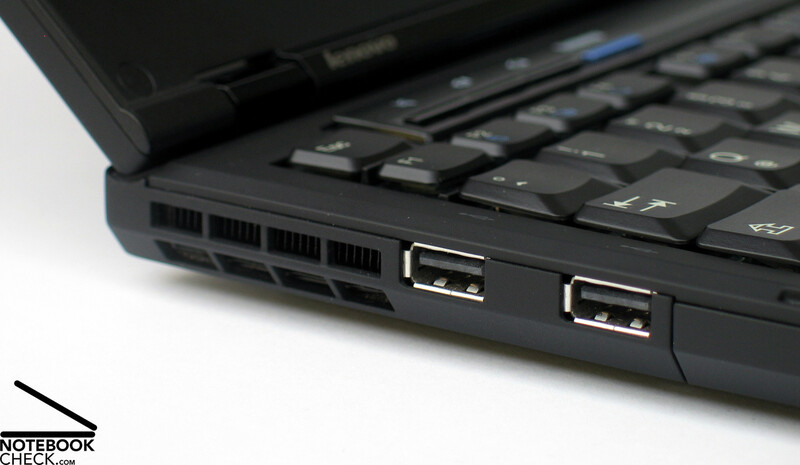 The X300 is indeed clearly adorned with an larger number of ports, even though, in our opinion, the user is left without a couple of important interfaces. More on that later however. The front edge of the X300 tapers in quite narrowly and therefore doesn't allow enough space for many connections. Only the relatively easy to use unlocking switches for the double-hooked display lock find their place here. At the back on the left hand side of the case, in front of the system fan, there are two USB 2.0 ports, in front of which the service door for the internal mass-storage (SSD) can be found. At the very front on the left are the 3.5mm headphone and microphone sockets. 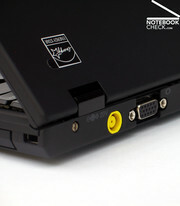 The connections continue around the back of the compact 13 inch machine, with the power connector, the VGA port, LAN interface and another USB port constituting connections which are usually constantly attached. The switch for the WLan function is also (in our opinion mis-)placed here, allowing the communications module to be completely deactivated in order to save power. On the right hand side there is an exceptionally slim optical drive - another feature users of the MacBook Air must do without. 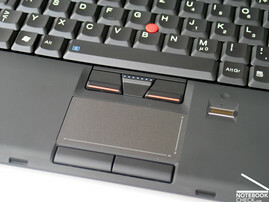 The Kensington lock, at the back also on the right, comes as standard on the Lenovo Thinkpad X300. 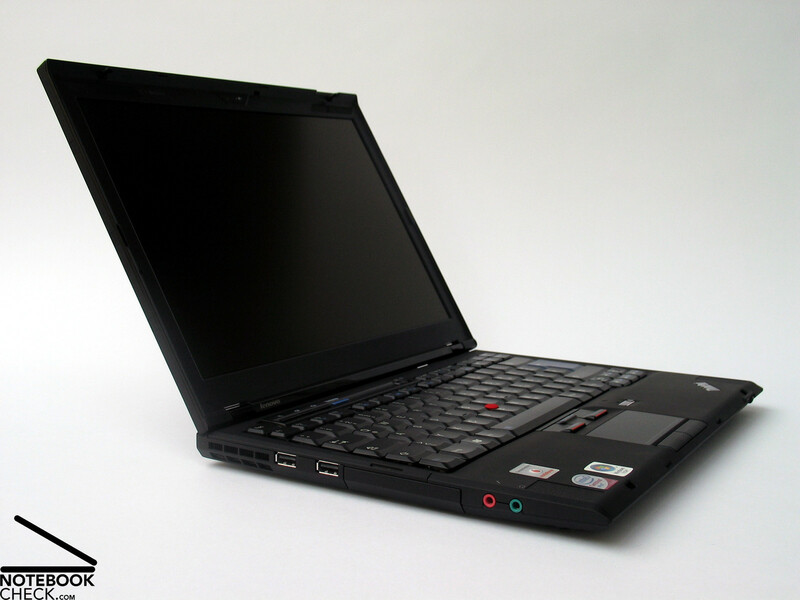 Extensive communications features are also often regarded as a strength of the Thinkpad series, and the Thinkpad X300 is no different. 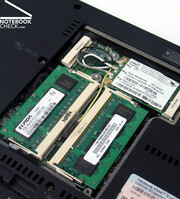 The notebook offers a Gigabit Ethernet connection (Intel 82566MM Gigabit) as well as a WLan adapter supporting a/g/n standards (Intel Wireless 4965 AGN Module) and Bluetooth. If that wasn't enough, when on the road there is also always the possibility to secure an existing internet connection using the X300's inbuilt UMTS/HSDPA adapter. 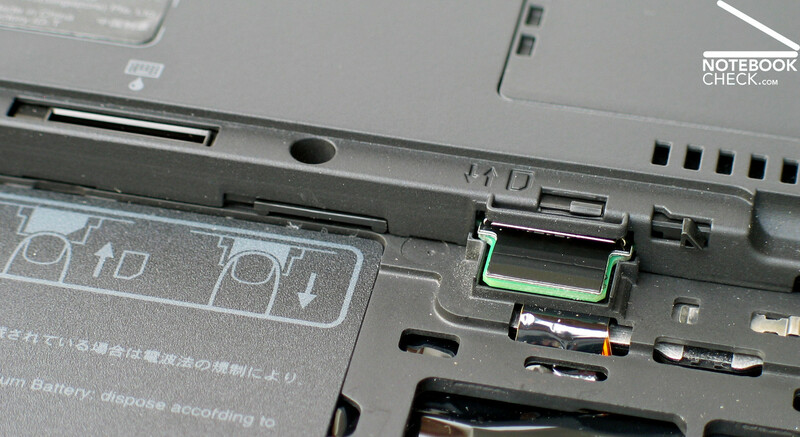 The slot for the SIM card can be found in the battery bay on the underside of the notebook (as is required for UMTS/HSDPA). Given the right network contract, it is effortless to get online wherever you are - and without impractical external UMTS modems too. This, in combination with the included webcam, also makes video conferencing possible. 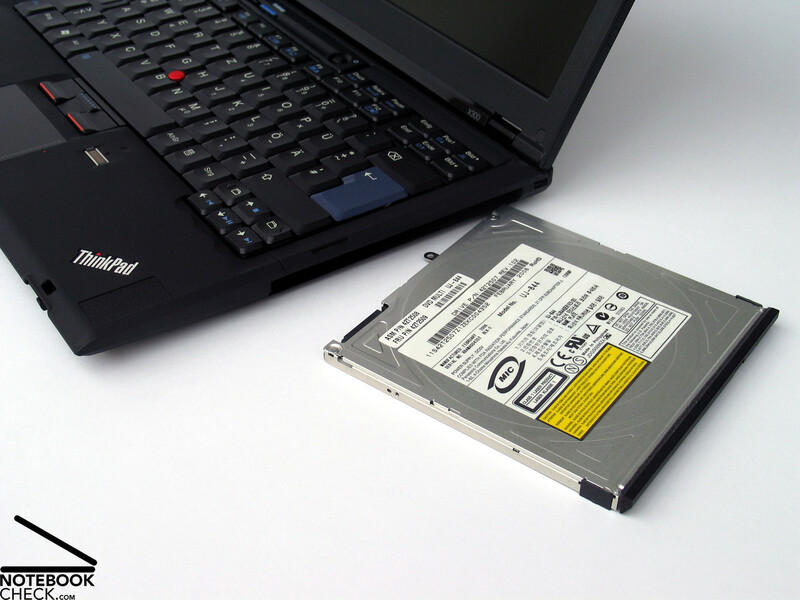 Data security also plays an important role for the X300. To fulfil this need, the X300 comes equipped with an integrated fingerprint reader, a TPM Chip 1.2 on top of the extensive security options provided by the ThinkVantage system administration software. Other notable features include a splash resistant keyboard, for those early mornings on which slow reaction times make spilling a cup of coffee or other brew all over the keyboard a little less troublesome for the user. Precious work can also be considered safe with the integrated solid state drive (SSD) provided as mass storage, since such drives are practically impervious to jolts and other impacts. Overall, the X300's features combine to provide a truly comprehensive connectivity package, particularly given its communications possibilities. One feature in particular however was sorely missed: a docking bay connector. Such a connector would not only greatly expand on the device's base collection of interfaces, noteably with a digital video output for connecting a high resolution external monitor, but it would also increase the notebook's convience, saving the user from the arduous task of continually disconnecting and reconnecting devices when switching between mobile and stationary situations. 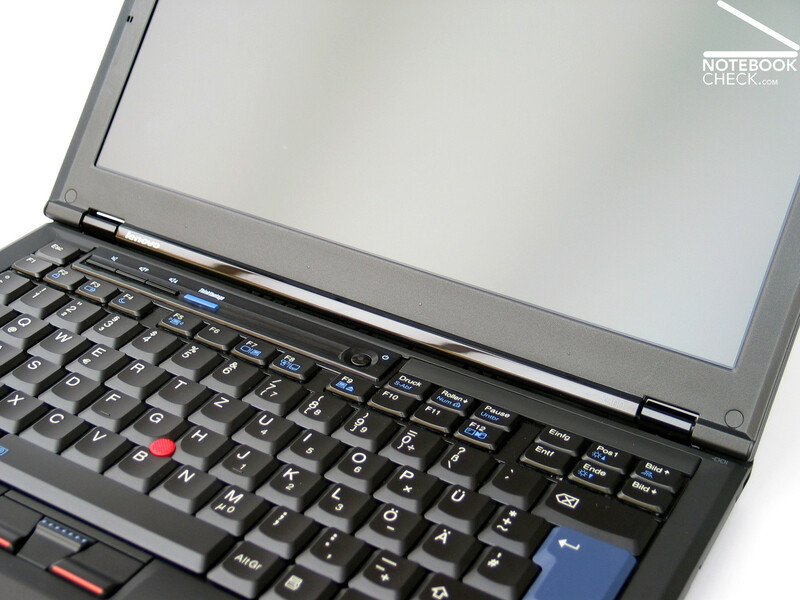 One feature that often draws customers to a Thinkpad notebook is its quality of input devices, first and foremost its keyboard. Clearly the space available for various input devices in a 13 inch case is somewhat tighter than with 15.4 inch models; even so, Lenovo provides the X300 a keyboard akin to larger models with a standard key size of 18 x 18 millimeters. 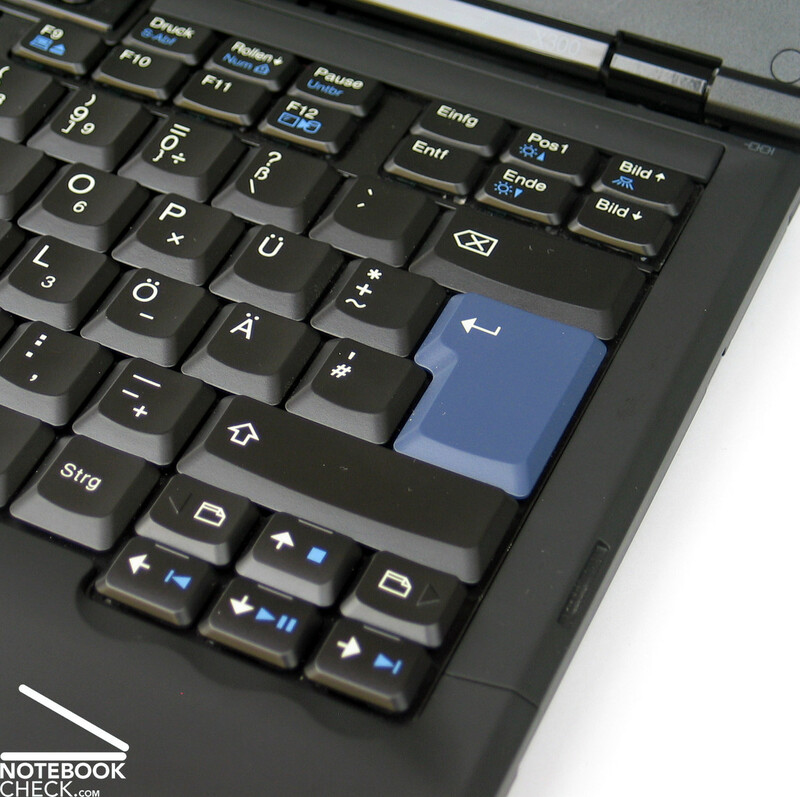 Slightly enlarged Shift, Tab and Ctrl keys make typing even more comfortable. 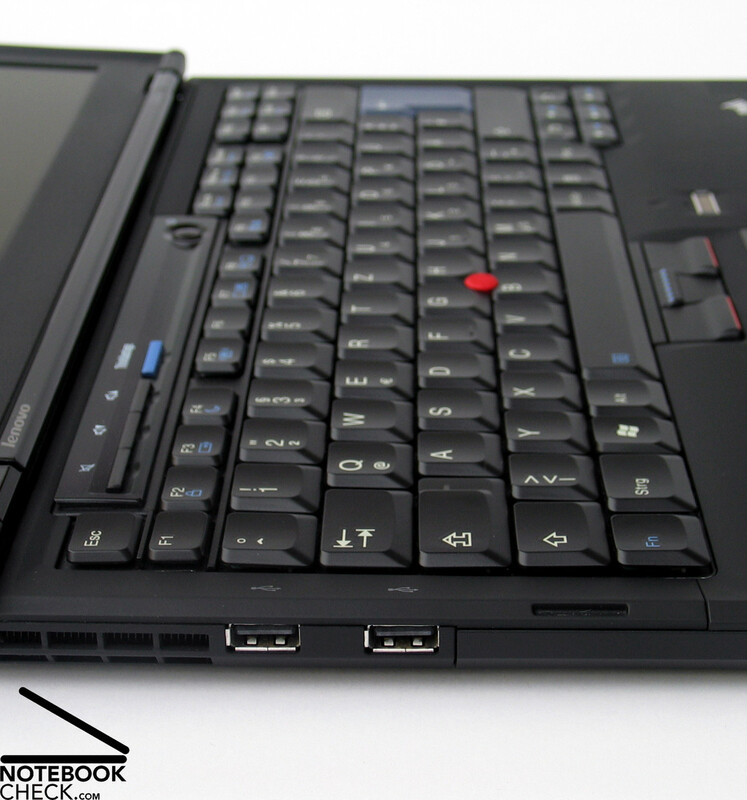 As is usual for Thinkpad models, the keyboard layout of the X300 displays a good arrangement with regards to the function keys. Not unique to this model, newcomers to the Thinkpad series may need some time to get used to the ordering of the Fn and Ctrl keys. 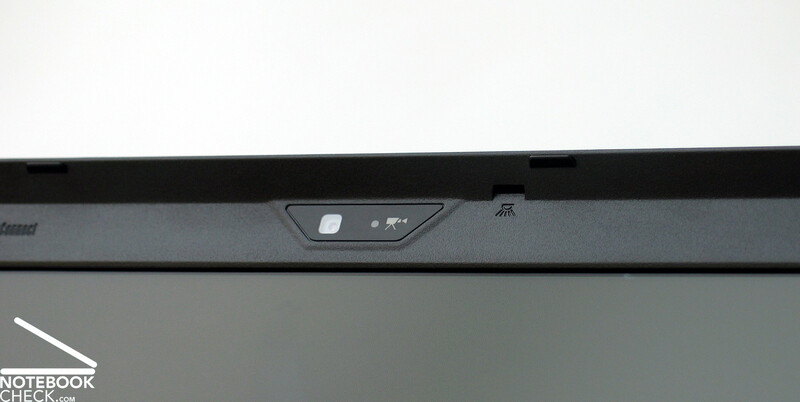 For some time Thinkpads have had their Fn keys at the bottom edge on the left, where the Control key traditionally sits. The X300's keyboard also delivers the usual qualities with regards to typing comfort. The individual keys offer a balanced ratio between stroke depth, resistance and pressure point. 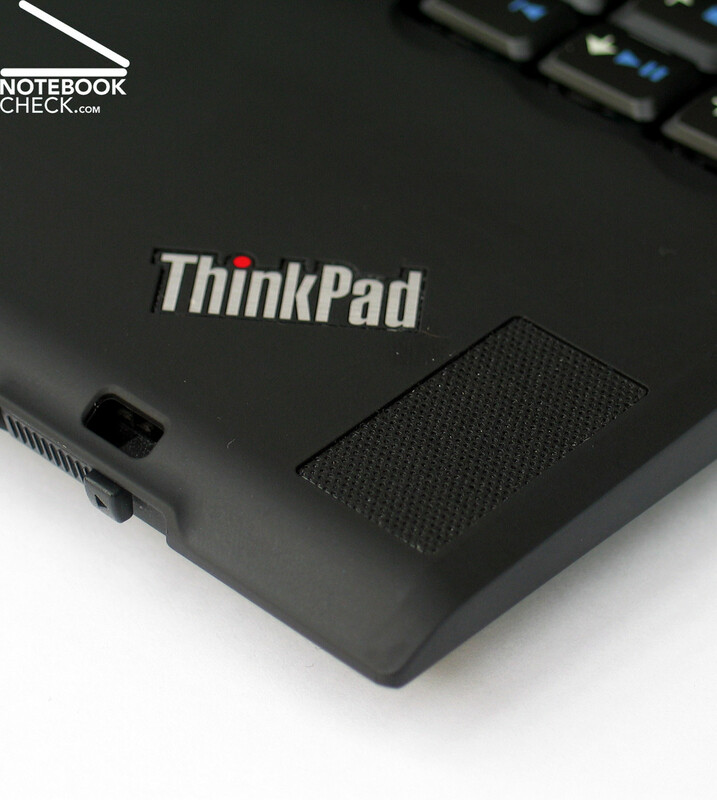 Even the typing noise meets the demands of a compact and mobile notebook with its quiet clicking. That said, we could not get used to the noise of the spacebar. In our test sample, it continually hit the bottom of the keyboard unit, thereby making any even slightly more agressive hitting of the key produce an unpleasant rattling noise. 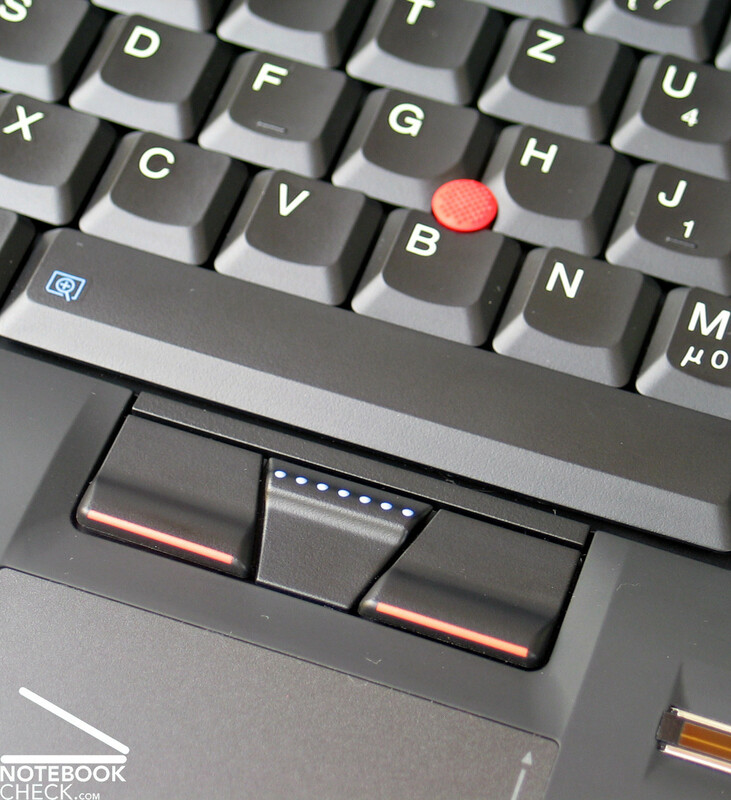 Beside the keyboard, the Thinkpad X300 also includes the tried-and-true Trackpoint/Touchpad combination. 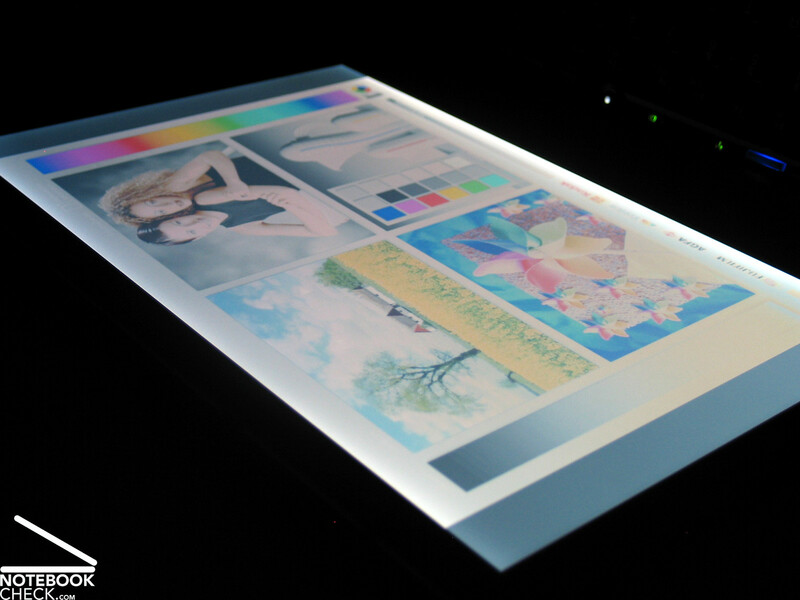 The otherwise flawless touchpad must however be criticised for its extremely limited size. Nonetheless, the pad incorporates both horizontal and vertical scroll areas. The trackpoint, for those unfamiliar, indeed takes some time getting used to, however in the long time provides the better mouse replacement. With a light push on the elastic knob, the mouse pointer can be moved in the desired direction without needing to move the pointer finger even a millimeter. Using the thumb, both the "mouse" and three corresponding typing fingers on the same hand can be used simultaneously. It is therefore not necessary to move either hand long distances as one might when using the Touchpad. When the comfort and speed of an external mouse is not available, for mobile use, the trackpoint is the first choice. In terms of additional keys, the unusual location of the WLan switch has already been addressed. 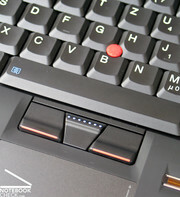 Above the keyboard there are also a number of buttons concerning volume adjustment in addition to the ThinkVantage key which opens the ThinkVantage Productivity Centre. Lenovo has equipped the Thinkpad X300 with an LED display in 13.3 inch format with a maximum resolution of 1440x900 pixels. For office use, this provides the notebook with a good overall view despite the monitor's compact size, even with multiple windows open. 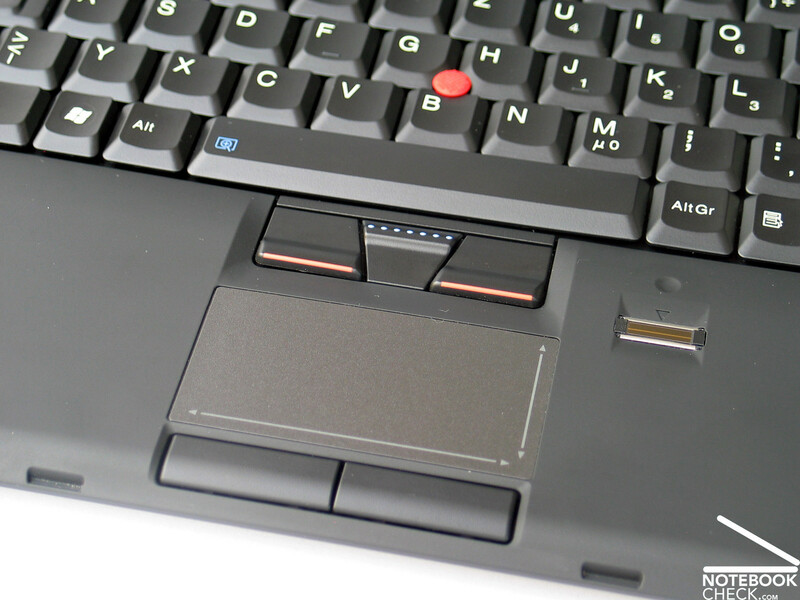 For better ergonomics on the X300, Lenovo has chosen to use a matte display. 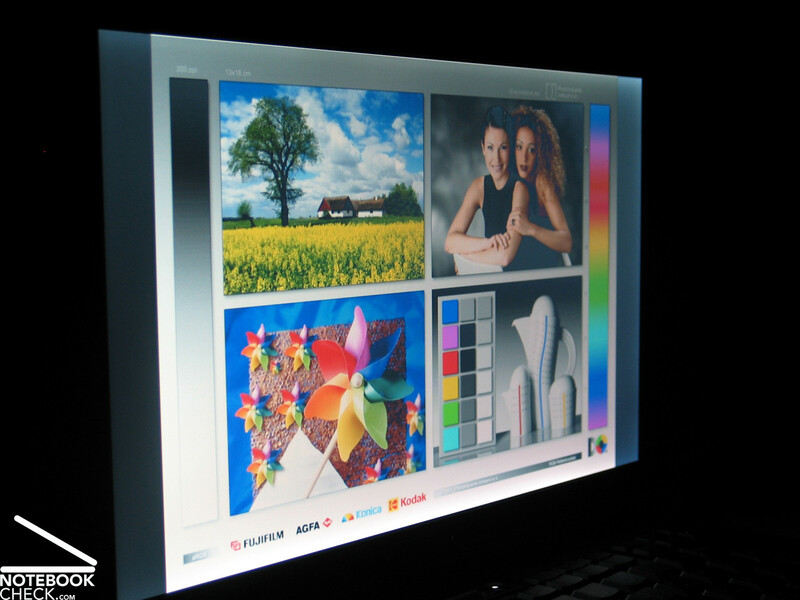 The display brightness measurements also display good results. In the lower corner regions, the display reaches a maximum brightness of up to 243 cd/m². With an extremely good illumination reading of almost 90% and an average brightness of 226.7 cd/m², the results speak for themselves. 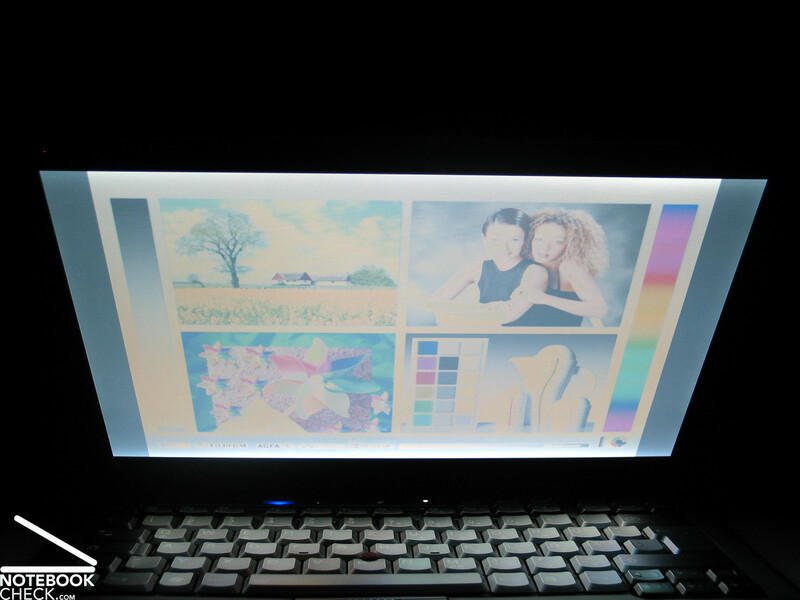 The display does however clearly perform worse in terms of its maximum displayable contrast. With a black level of 1.85 cd/m², the contrast reads below average with a maximum of just 131:1. Subjectively, the presented image in terms of colour reproduction also fails to be completely convincing. Skin tones are particularly affected by the poor colour balance, having an obvious green tinge. Given the display's optical statistics combined with the its non-reflective surface, there should have in principle been nothing to stop outdoor use of the Thinkpad X300. At first attempt though we were somewhat disappointed by the meagre display brightness when running on battery power, reading just 71.8 cd/m². This was however due to a power saving function which was relatively quickly deactived in the system BIOS (F1 on system start, Config, Display, Brightness: Normal -> High). This allowed the full range of brightness settings, even running on battery power. 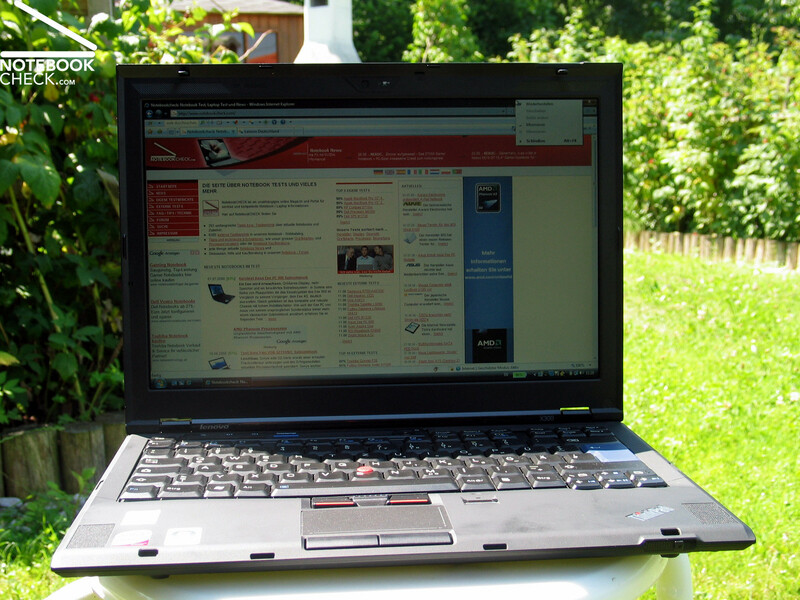 With this setting enabled, use of the notebook outdoors was quite possible, so long as the monitor was shaded from direct sunlight. 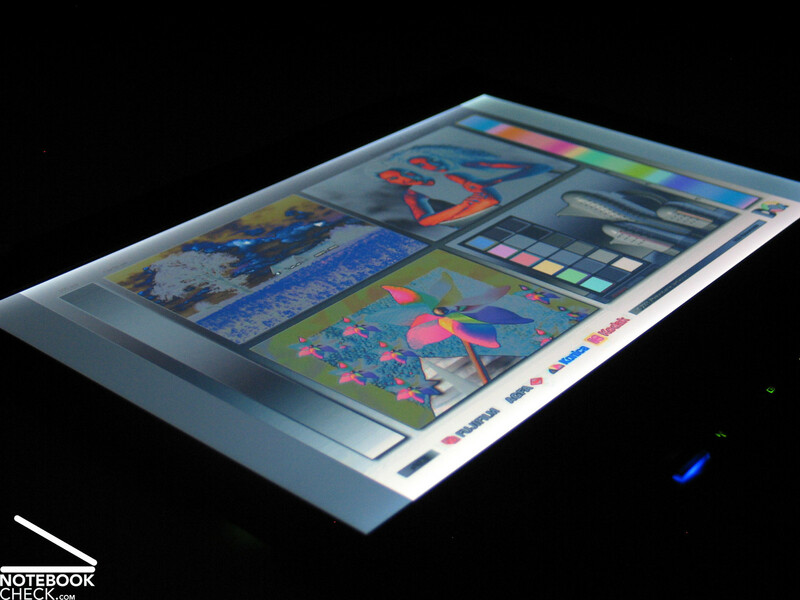 One other weakness of the display panel is its limited perspective stability. Even slight deviations from the 'ideal' vertical viewing angle produced limiting picture alterations in the form of either darkening or washing out. The horizontal perspective on the panel was much more forgiving. The hardware has clearly been put together with low energy usage and office performance in mind. The notebook comes with an L7100 processor from Intel, the L standing for Low Voltage, having remarkably small energy requirements. Paired with an Intel GMA X3100 onboard graphics chip, the X300 provides sufficient performance to fulfil the demands of everyday office use. 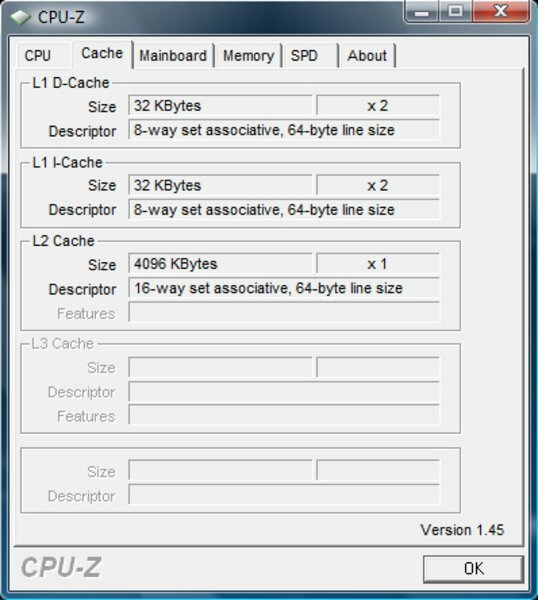 There are tight limits set on the laptop in terms of both computational power and graphics performance, and in complicated number crunching or rendering tasks the machine quickly runs out of steam. 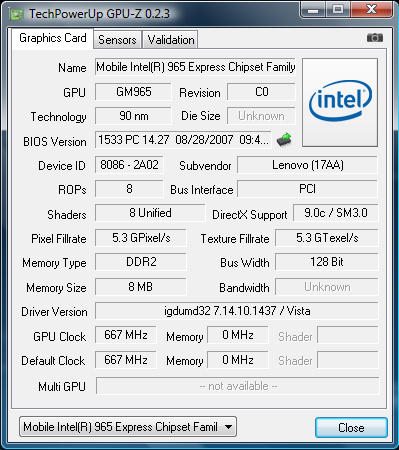 This is even seen in the Cinebench R10 Benchmark Test, in which the Thinkpad X300 sits far behind devices with more powerful CPUs such as those of the Penryn and Merom range. Even aforementioned MacBook Air lies a clear way in front. The good performance of the MacBook on the Cinebench Shading Test is perhaps the most surprising. With 1143 points, it sits clearly ahead of devices with identical graphics setups. This is most likely due to the good OpenGL performance under MacOS. 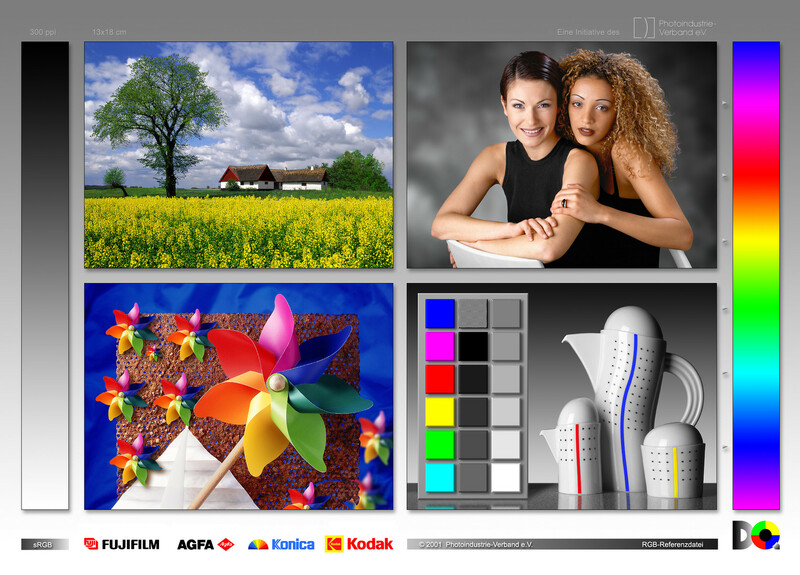 The PCMark 2005 Benchmark Test paints a different picture altogether. In this test, thanks to the speedy SSD, the Thinkpad X300 performs clearly infront of the MacBook Air (which has no SSD) as well as other notebooks with clearly more powerful processors. 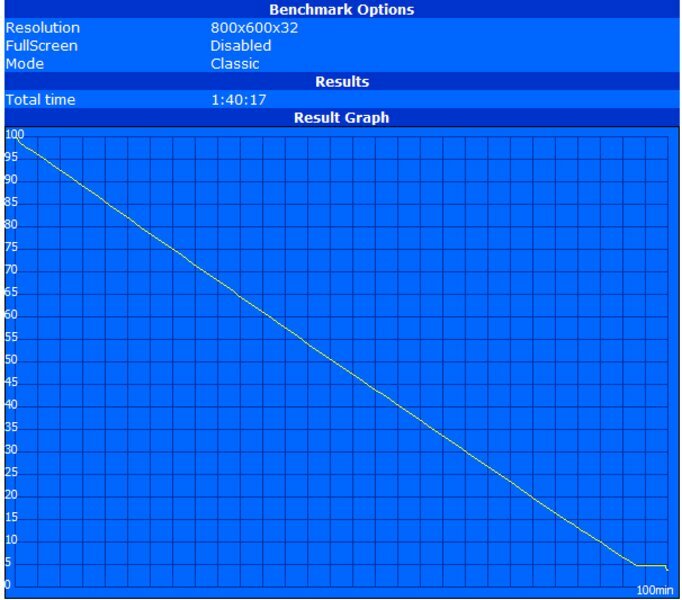 In the 3D Mark 2006 Benchmark Test, the performance of the Thinkpad X300 is, as expected, in line with similarly equipped notebooks. The result obtained here was practically indentical to that of the MacBook Air. The Lenovo Thinkpad X300's good office performance is clearly due to the optimal adjustments to individual hardware components and the well guided choice of additional components like system memory and mass storage. 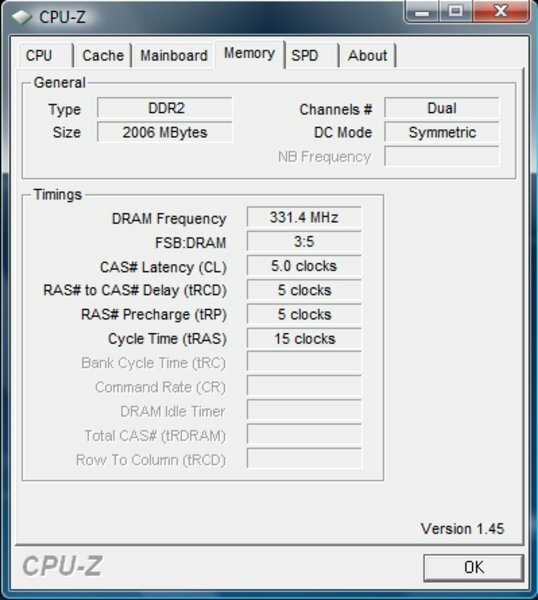 The X300 offers in this regard a total of two gigabytes of RAM (DDR2, PC5300, 667 MHz) divided between two memory slots. The notebook can be upgraded to a total of 4GB, although this requires the existing chips to be replaced by two 2048MB sticks. 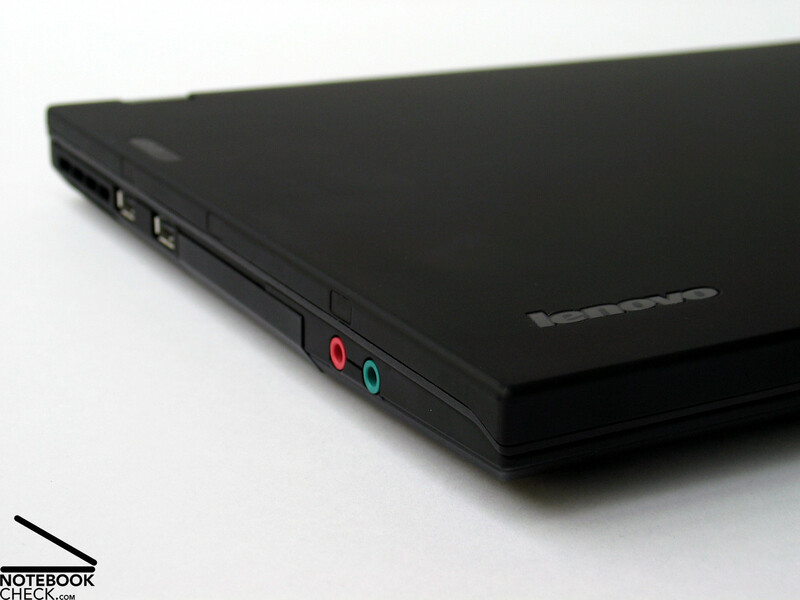 Lenovo also relies on high quality components for the notebook's internal mass storage. 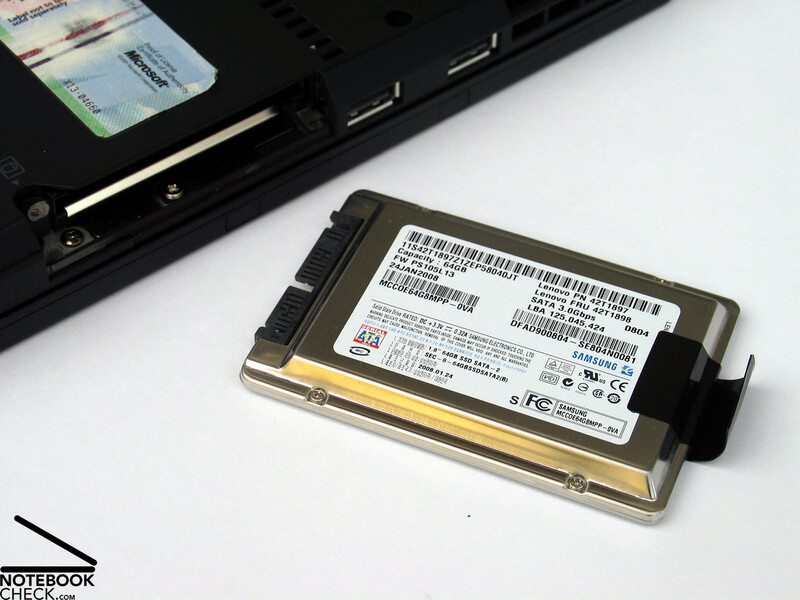 Our test sample was fitted with a solid state drive (SSD) from Samsung. With a gross capacity of 64 GB, the drive provides enough space to allow problem free office operation with a great number of programs installed. 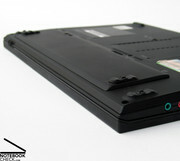 Excepting the disadvantage of high price, the SSD provides a range of benefits over conventional harddisks: silent operation and increased data security due to to impact resistance, not to mention excellent performance with an access time of just 0.4 milliseconds (compared to 18 ms for a conventional 5400 RPM drive) and extraordinary transfer rates. 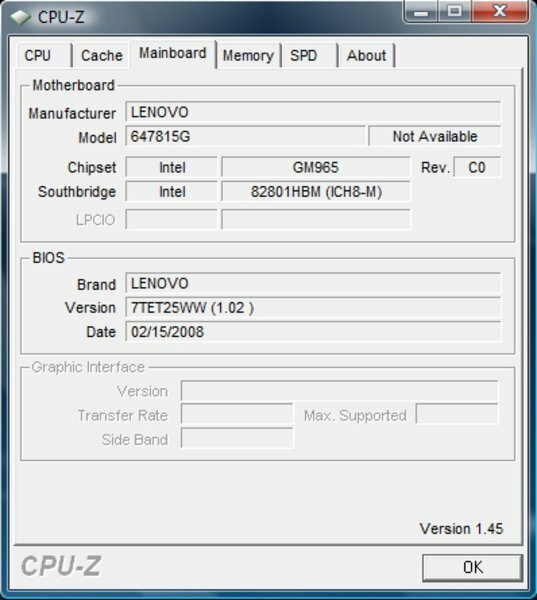 The configuration of Lenovo's Thinkpad X300 should suggest extremely quiet operation - something that is very quickly confirmed in the lab. With moderate office use, ie. when wordprocessing, web surfing or performing simple spreadsheet calculations the X300 remains practically inaudible at 27.8 dB(A). In these situations when the system fan is off, the silent SSD holds an even greater advantage. Depending on use of the notebook, there can often be intervals of several minutes between brief runnings of the fan for 15-20 seconds. Although the noise level of 31.4 dB(A) at these times remains very low, it can seem almost loud in contrast to the prior silent operation. Under load the X300 reaches a maximum volume of 32.8 dB(A), although reaching this level requires the computer to be constantly running complex operations for some time, such as in renderings or complex calculations. Even with ambient summer temperatures of just over 23°C, the case insulation kept the X300 well within green temperature levels. After about an hour of deliberately heavy use, the notebook's temperature on the underside reached a maximum of 38.3°C and on the top reached just 34.5°C. Not even mobile usage on various surfaces could stand in its way. 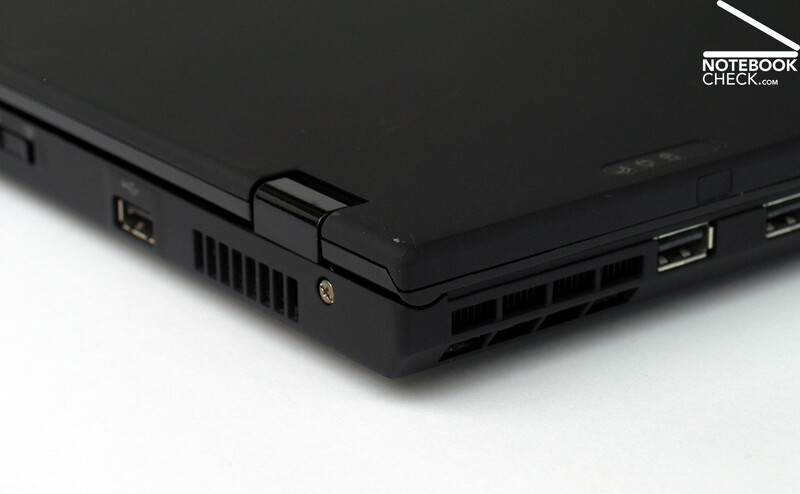 Since the system fan is located on the back edge, fresh air could still usually be accessed regardless of the surface the laptop is lying on. Fitted with two stereo loudspeakers providing a solid performance of 2W RMS (according to Lenovo), the X300 goes well above and beyond minimum requirements. In terms of sound quality, the two miniature speakers were thoroughly surprising. Even at maximum volume they yielded very listenable sound that would make most other compact notebooks pale with envy. This sound is definitely improved by the position of the speakers on the outer edges of the handrests, although this also means that excessively slanted hand positions when typing could smother the speakers somewhat. Perhaps even more important however is the quality of the audio out, which is probably more useful when on the road than the notebook's speakers themselves. In a test using AKG K314P headphones, no quality limitations could be observed. 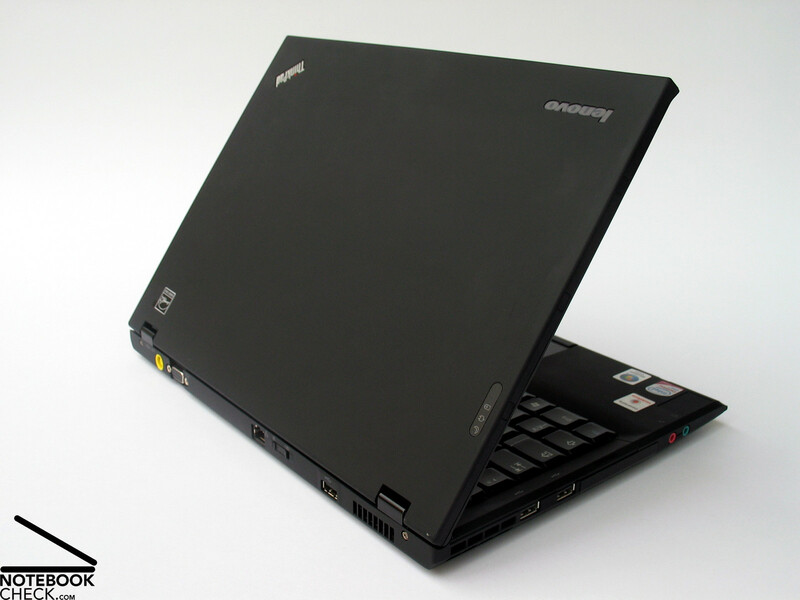 Our test sample of the Lenovo X300 was eqipped with a 10.8V 43.2 Wh (4000 mAh) Lithium-Ion battery. The maximum achievable battery life (maximum battery saving mechanisms, minimum display brightness, radio connections deactivated) was measured with the BatteryEater Readers Test. In our sample, this maximum battery life was 308 minutes. Under load in the BatteryEater Classic Test the battery life shrunk to 100 minutes. This can be interpreted as the minimum expected battery life. 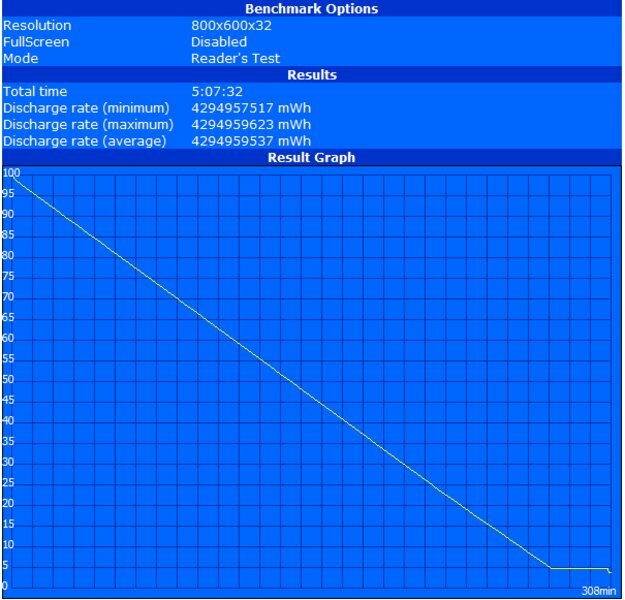 In the practical longevity tests such as with WLan operation at practical brightness levels (set at 13/15) in energy saving mode the Lenovo Thinkpad X300 achieved a very usable life of 240 minutes. DVD playback on the machine should give a life of about 145 minutes. Since a mobile device like the X300 can almost never have enough battery capacity on hand, the notebook also offers the possibility to insert an additional battery in place of the optical drive. Unfortunately switching between the two requires a screwdriver, obviously making a quick swap more difficult. 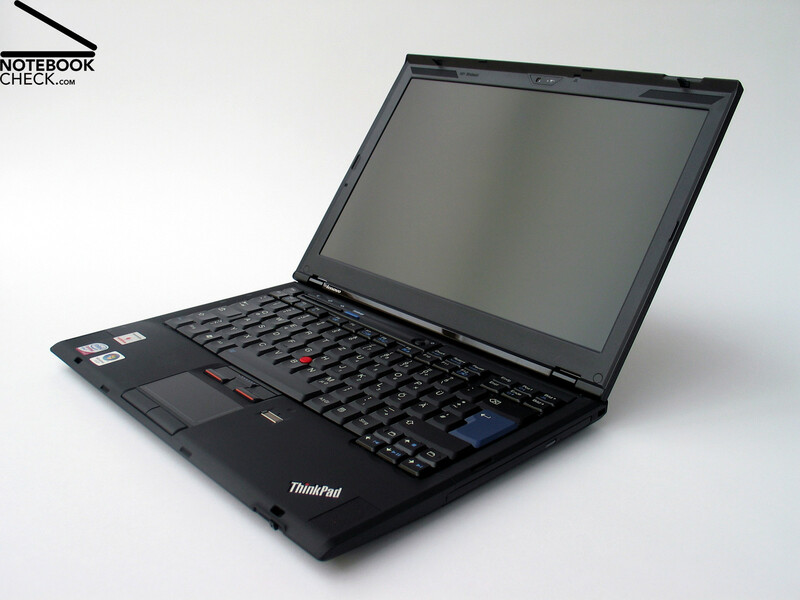 Lenovo's X300 lives up to the classic Thinkpad virtues and then some. An extremely robust chassis made of high grade materials provides not only a comfortable touch but also an outstandingly sturdy case, promising a long lifespan. 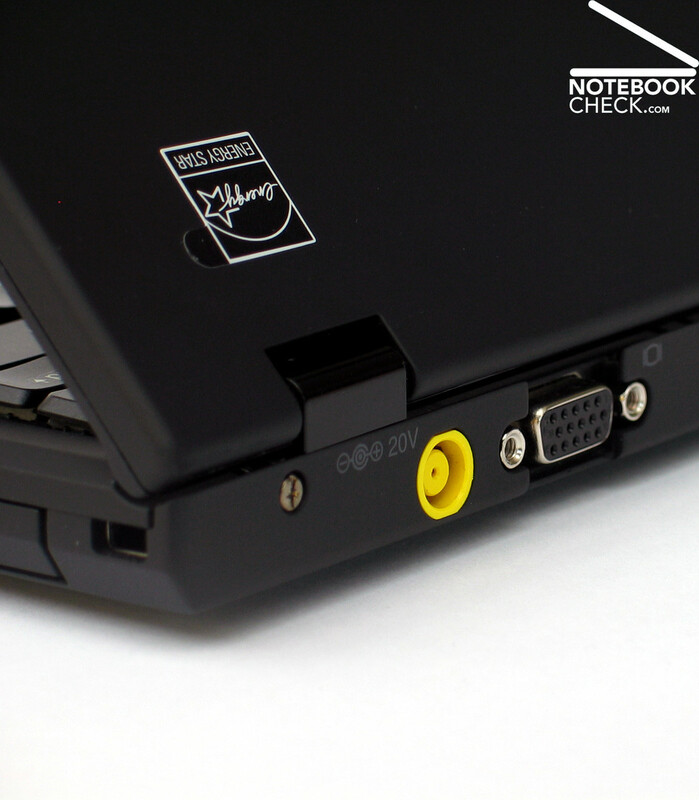 In terms of connectivity, the Thinkpad X300 provides only a basic setup, although it does score points for its user friendly arrangement of ports. Unfortunately the X300 does not provide a docking bay interface, making it dependent on the analogue VGA-connector for any external monitor connection. Also typical of Thinkpads is their range of included communication technologies. Gigabit LAN, Wireless LAN supporting a/g/n standards, Bluetooth and an integrated UMTS/HSDPA modem combine to make the X300 a communications pro. In terms of input devices, Lenovo provides firstly a classic Thinkpad keyboard unit with the usual qualities and peculiarities. Despite the extreme typing comfort, newcomers to the series may need some time to get used to certain layout idiosyncrasies. This also applies to the trackpoint / touchpad combination, which, after some training, turns out to be a very efficient mouse replacement when on the road. As for the display, the very good brightness and illumination measurement of almost 90% are very positive results. Less than optimal is the perspective stability. Particularly in terms of vertical movement, the monitor view quickly loses clarity, necessitating frequent readjustment of the display angle during mobile use. The performance of the notebook is clearly tuned in terms of endurance and office efficiency. 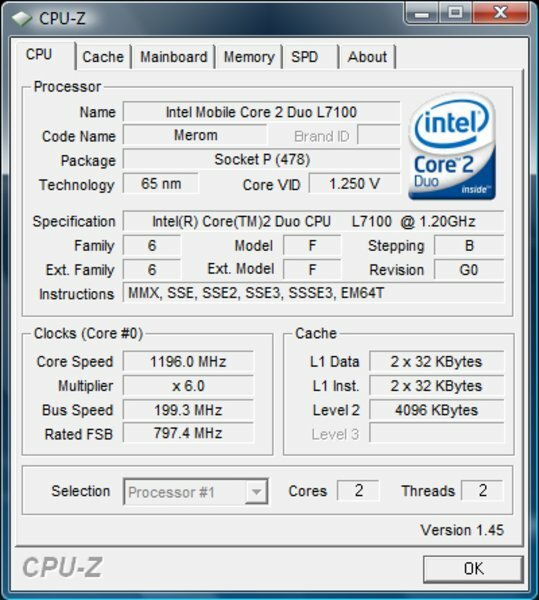 In this regard, the Intel Core 2 Duo L7100 processor in combination with the integrated X3100 Graphics Module provide quite good performance. The internal 64GB SSD, which also gains points for its silent operation, further contributes to the notebook's first class results. These components combine to enable near silent operation in idle mode, which, depending on use, is broken only now and then by short bursts of the system fan. The surface temperatures nevertheless stay well below critical levels. 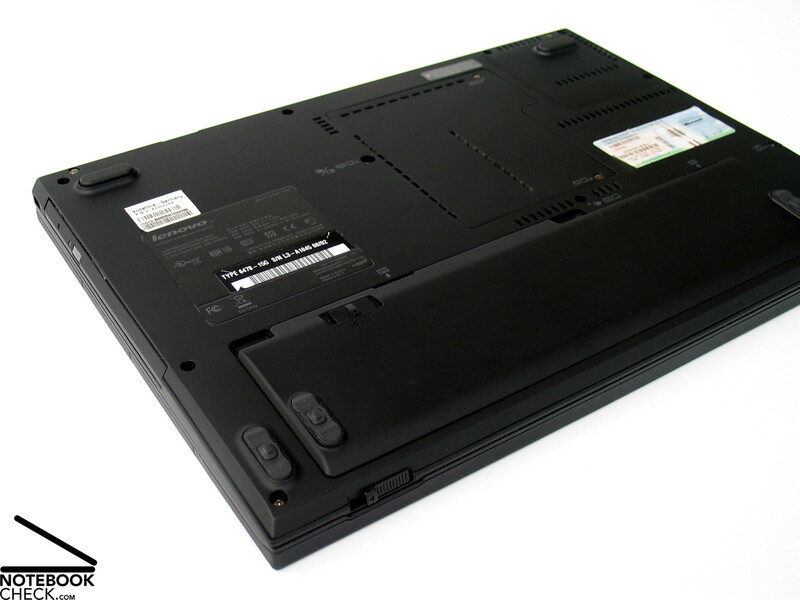 Finally, the Lenovo Thinkpad X300 offers a thoroughly compelling battery life, and thanks to the multipurpose bay, the optical drive can for purposes of added mobility be user replaced by an additional battery. The most important of which is the reversing of the Fn and Ctrl keys' positions. Otherwise the keyboard's layout and typing feel are quite impressive. 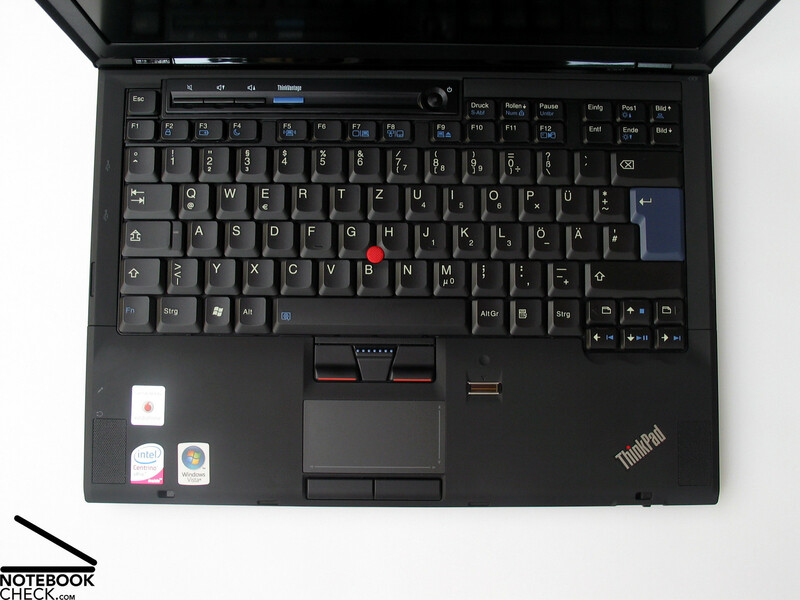 A true Thinkpad also has a red trackpoint between its black keys as an additional mouse replacement beside the touchpad. 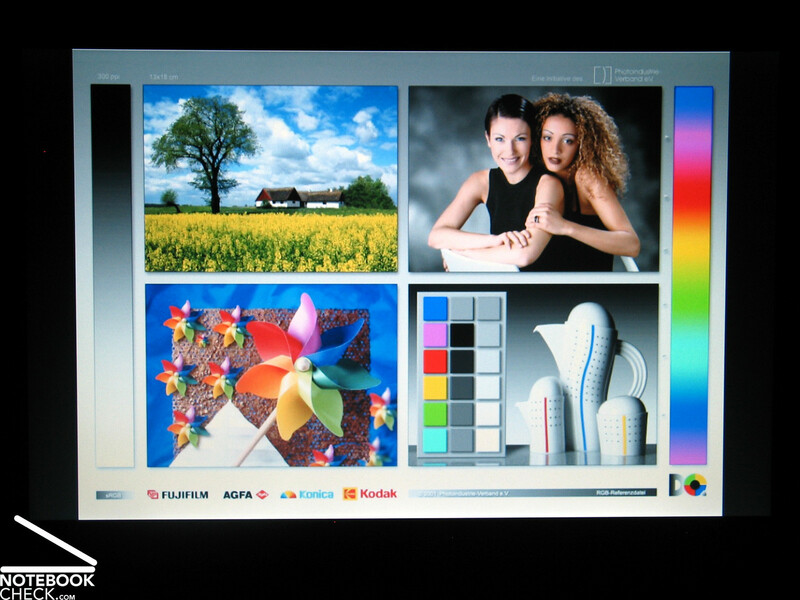 Lenovo provides a 13.3 inch LED panel with a matte display surface. 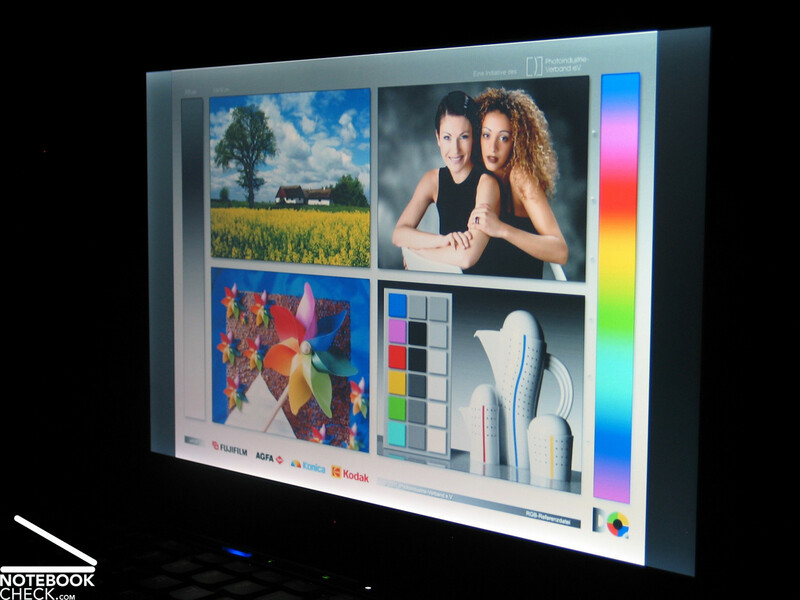 In testing, the monitor achieved good results in brightness and illumination measurements. 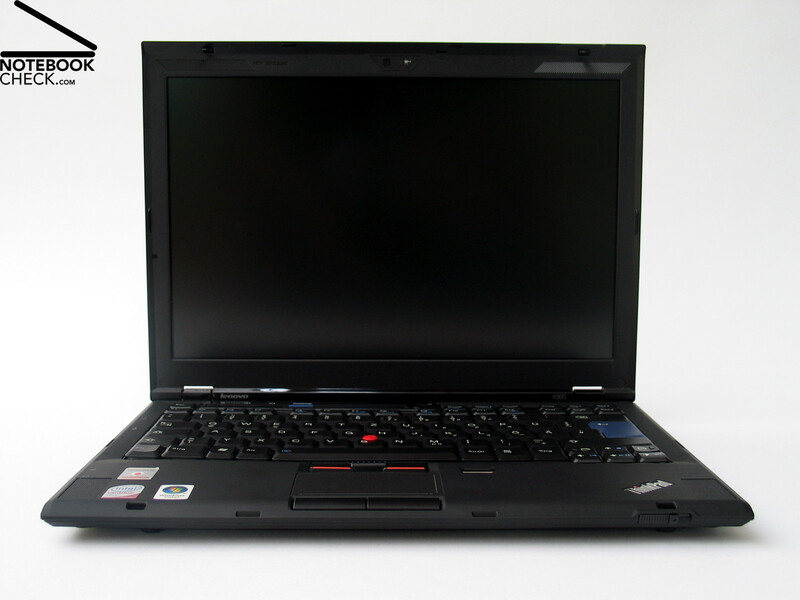 The X300 is operated on a L7100 Low Voltage CPU. 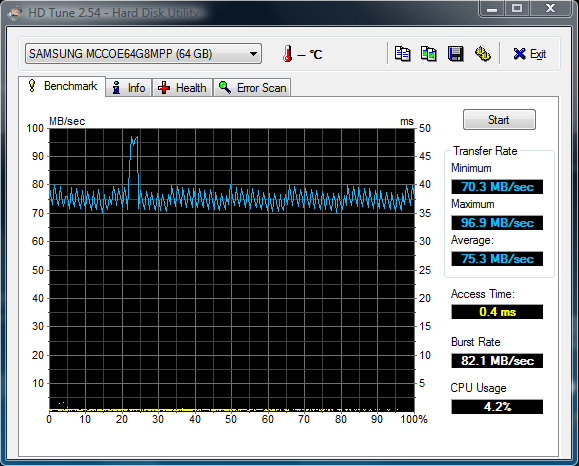 First class performance is provided by the internal 64GB SSD from Samsung. With up to 4GB of RAM, the X300 offers solid performance for fundamental office applications of all kinds. Even the system fan profits from the X300's equipment setup. 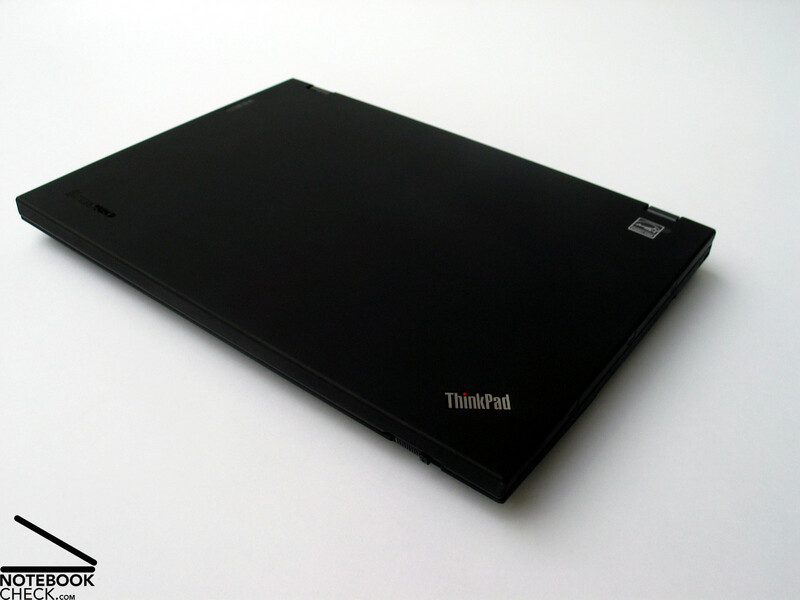 During office use, the Thinkpad X300 remains extremely quiet. The case's cooling system keeps surface temperatures in check, even under load. Both speakers deliver reasonable sound, however under certain circumstances can seem inconveniently placed. 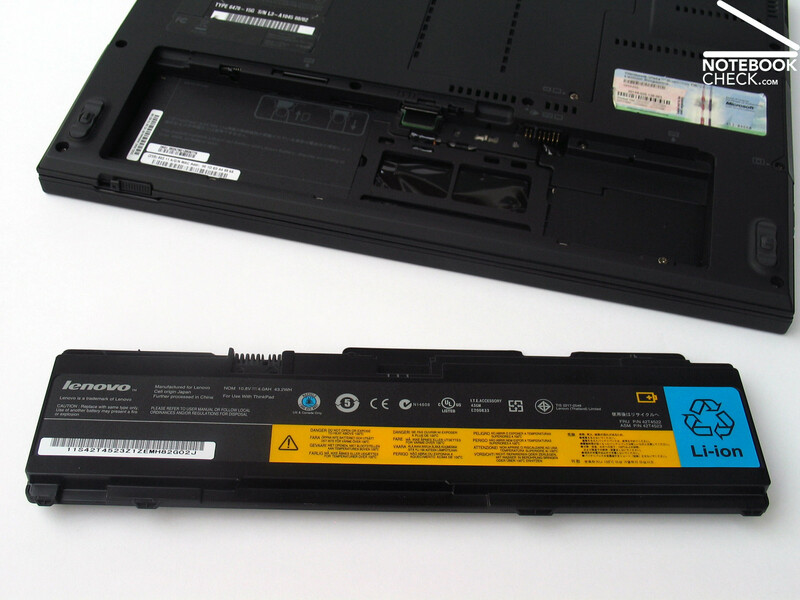 The 43.2 Wh main battery can be found on the bottom of the notebook at the front. 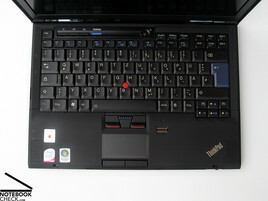 The keyboard also takes the familiar Thinkpad layout, along with its indiosyncracies. The DVD drive is an interesting addition, perhaps even more so because it can be replaced by an optional additional battery. The Thinkpad X300 from Lenovo presents itself to closely match the traditional range of Thinkpads. ...however leaves no doubt about the high grade materials used. ...that gives hope for a long lifespan even in mobile use. 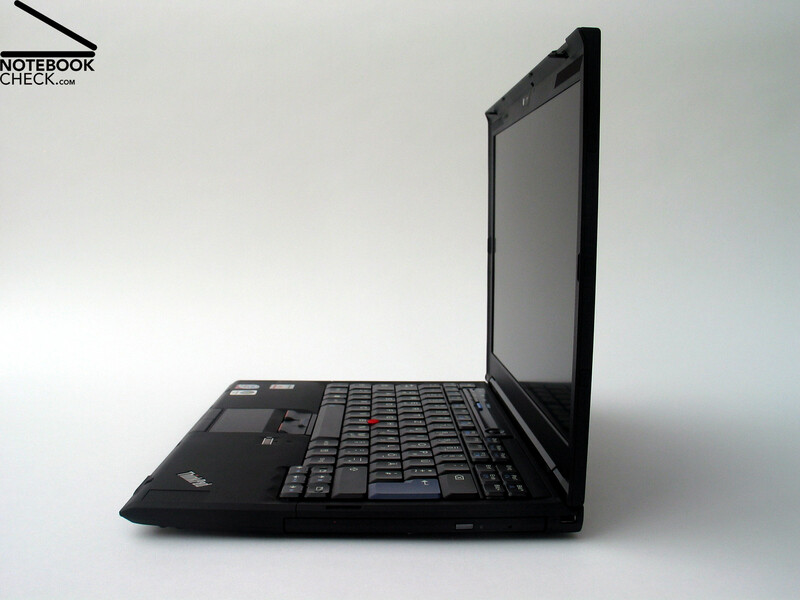 A typical Thinkpad distinctive features is the display in clamshell design, which also serves to improve robustness against various stressors. Moreover, the design serves to minimise forces upon the display hinges during transport in closed position. 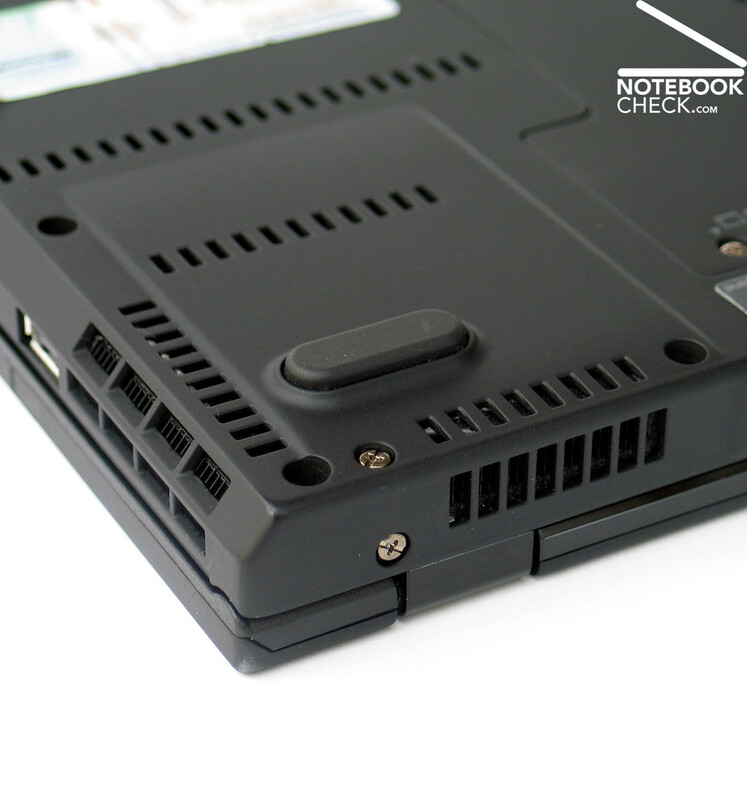 The ports provided on the Thinkpad X300 are very conveniently placed around the housing of the notebook. 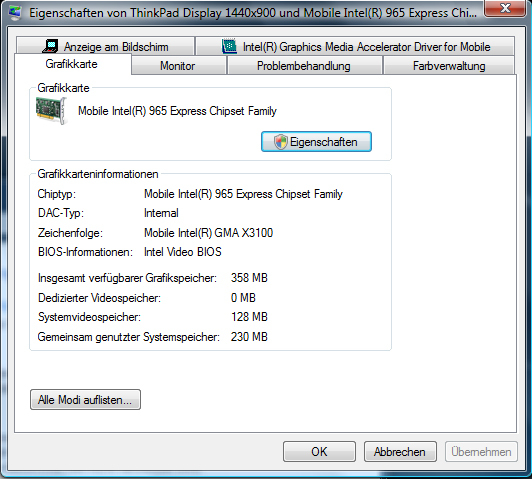 Unfortunately the Thinkpad X300 does not include a Docking Port or a digital video out. 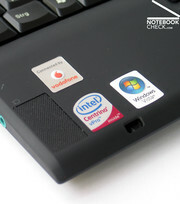 As an added security feature, the notebook has a fingerprint reader at its disposal. To facilitate an internet connection while out of the office, the Thinkpad X300 also offers an integrated UMTS/HSDPA modem. That combined with the in-display integrated webcam allows problem free video conferencing, even on the road. 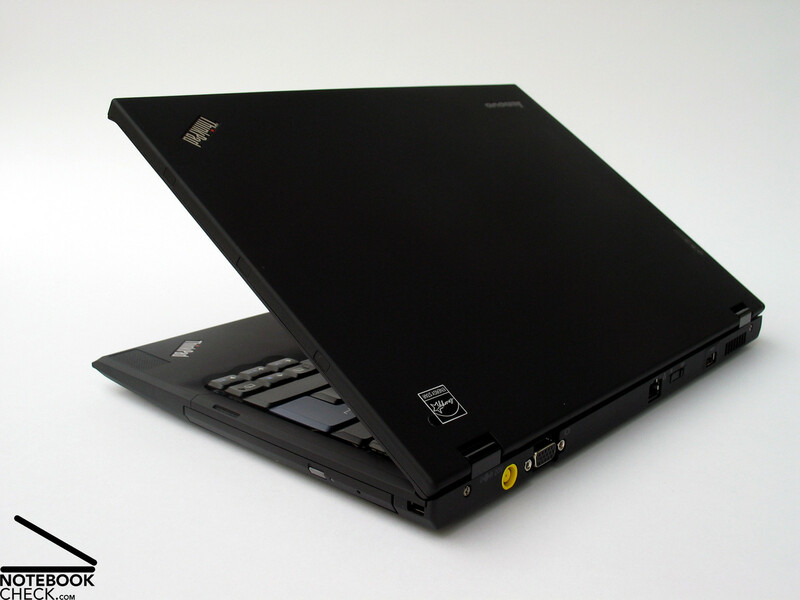 The battery delivers a battery life of up to five hours, depending on use of the notebook.